Chest congestion is the result of inflammation and excessive mucus in the lungs caused by the common cold, allergic reactions or bronchitis. If you are experiencing chest congestion, make an appointment with your doctor for a proper diagnosis. 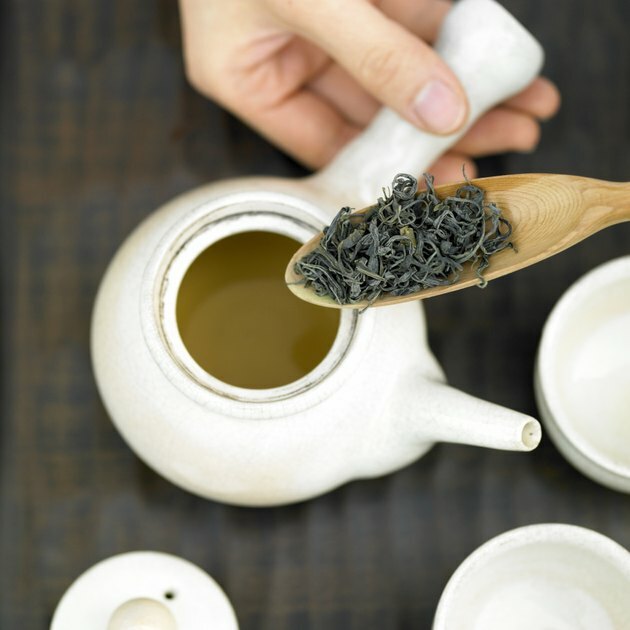 Some herbal teas have been associated with helping reduce inflammation and act as an expectorant to help keep the airways free from phlegm, according to MedlinePlus. Before using any herbal remedy, talk with your doctor. Herbs are not regulated or evaluated by the FDA and should be used with caution. Drugs.com warns that the use of any herbal supplement may cause an allergic reaction. If you develop adverse reactions after consuming any herbal tea, call your doctor. Garlic has shown antifungal, antibacterial and antiviral properties, according to Drugs.com. The use of garlic tea may help treat chest congestion related to an infection in the lungs. The University of Maryland Medical Center reports that in one study, people who took garlic for 12 weeks during cold season had 63 percent fewer colds and recovered from symptoms of the common cold faster. Talk with your doctor about using garlic if you're pregnant or breastfeeding. Echinacea is sold in herbal supplement pills or herbal tea bags. The University of Maryland Medical Center states that echinacea can help prevent the common cold that can lead to chest congestion. One study found that people who took echinacea reduced their chances of getting the common cold by 58 percent and also reduced the duration of the cold. Many of these studies included other vitamins, so the studies are inconclusive. Lobelia and mullein are two herbal remedies that have shown expectorant properties, according to the University of Maryland Medical Center. Both herbs help to thin and loosen mucus in the chest and help remove mucus from the body. Lobelia is also called Indian tobacco and can be toxic if not used under a doctor's supervision. Mullein is commonly taken at 3g a day and used to treat various respiratory illnesses, although it has not been specifically studied for bronchitis. Do Spicy Foods Kill the Flu?